This week you could tell by the weather that fall was coming. The temperature dropped and the leaves have started to fall. 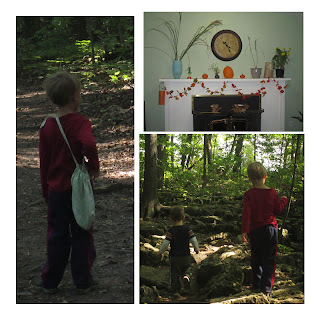 We did some fun fall activities! The boys were getting along well with our daycare children. They have now started to interact more on their own and started to play together. I was am also learning a lot too. My biggest realization was a need to slow down. In helping TJ realize that he needed to slow down a couple of times this week, I realized I was rushing through activities too! We also all noticed that the tone in the house was angry. Words, hands and feet have been flying and hurtful. We will be concentrating on turning things around next week. Monday was nature day. We went for a wonderful walk lead by our fearless leader TJ. We also talked about about how the animals are getting ready for the winter too. 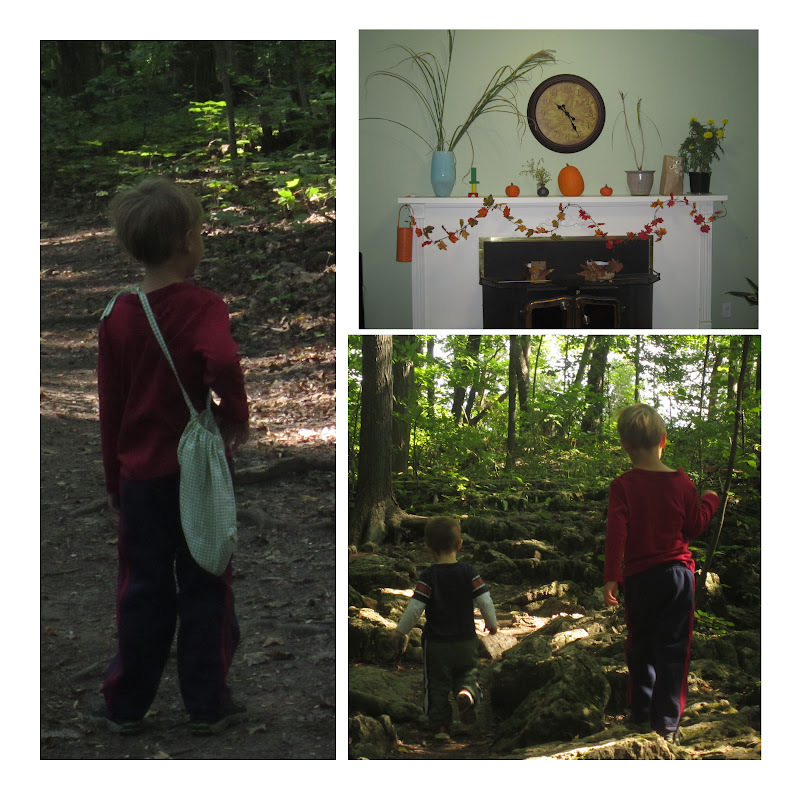 We donated much of our fall decorations to begin enjoying the splendour from nature around us. Tuesday is handicraft day so we made leaf crowns just like the Gnome King in our story. It rained a lot so the boys and I made an obstacle course to keep them buys while I made lunch. We also had a play/real picnic for snack time. Later in the day they went outside to take advantage of the puddles and mud! 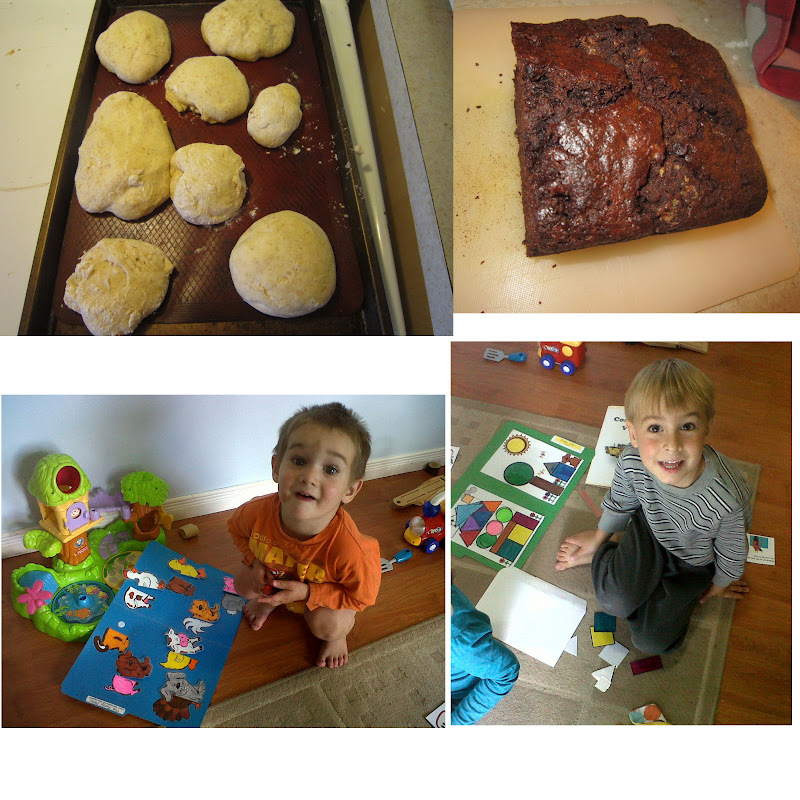 Wednesday is our baking day and I took on a lot today. I decided to make real bread (without the bread machine) and chocolate zucchini bread too. 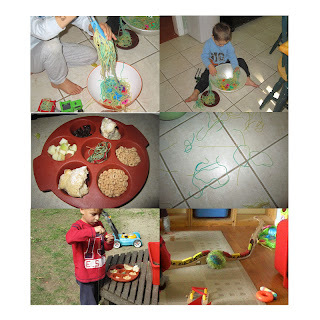 The kids had a lot of fun helping in the kitchen. I do believe I put in way to much yeast (the bowl of dough overflowed everywhere as it was rising). After adding all the flour I could find we did end up with some yummy buns. 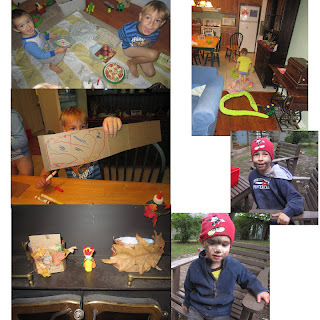 In the afternoon I brought out our file folder games for the kids to play with during quiet time. Thursday is sensory day. We made a big pot of spaghetti to play with. Several of the younger kids just ate it which was also fun. TJ had been asking for a while to make a snack for the birds. We set out a bowl of treats and strung them on some string. One of our decorations was eaten quickly by a squirrel and the other has been slowly worked on by some ants. Friday is usually crayon day this month. Today my sister and her children came to join us. After playing and circle time we made coffee filter leaves. This is such a simple activity. Colour with washable markers on a coffee filter. Spray with water and let it dry. We cut out shapes first to make it easier. 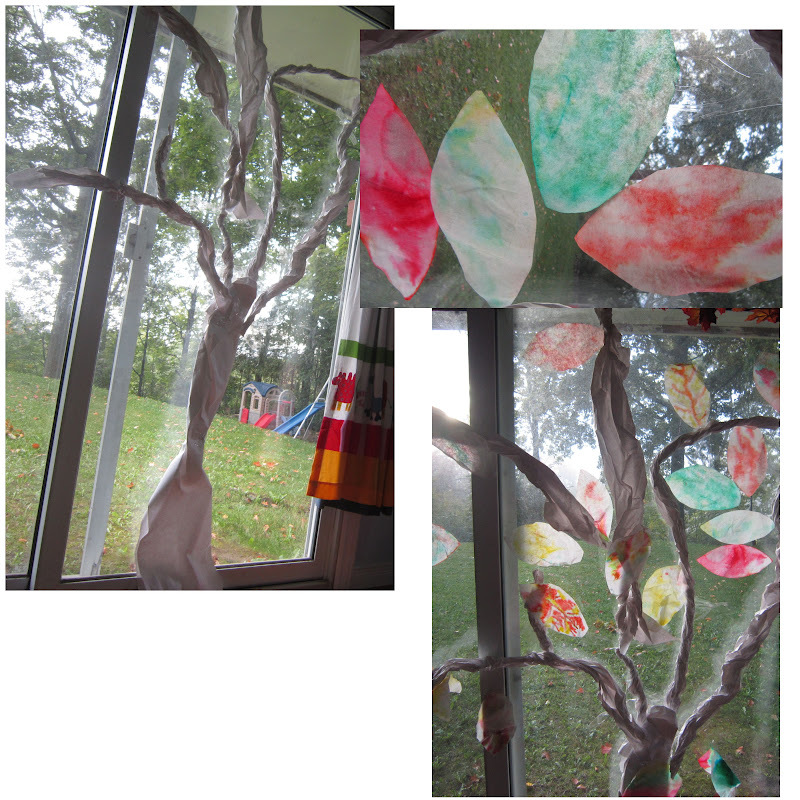 Once dry we hung them on a large paper tree we attached to the playroom windows. In the afternoon we took a trip to the garden plot and playground! What a fun week!! Thank you for sharing at Happy Family Times! It looks like you had so much fun! Thanks for linking up to Waldorf Wednesday. Hope to see you again this week!